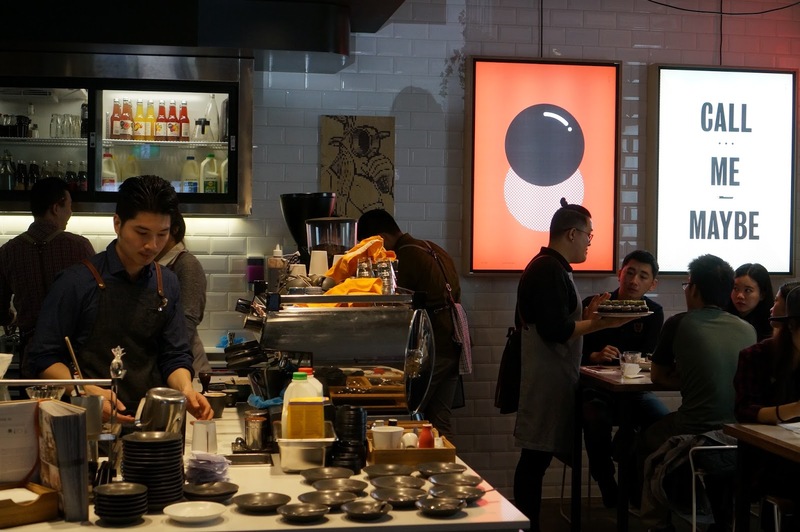 You can identify Operator 25 in it’s little CBD lane by the massive queue of asians standing outside on a brisk Melbourne morning. Yeah, the wait is worth it. They nail the asian-fusion in a brunch style in a way it hasn’t been perfected before. Make sure you walk inside the door to put your name down on the list. And I wouldn’t be accurate unless I mention the coffee puns, my favourite would have to be “It brew my mind” for the double pun of asian accent and coffee. 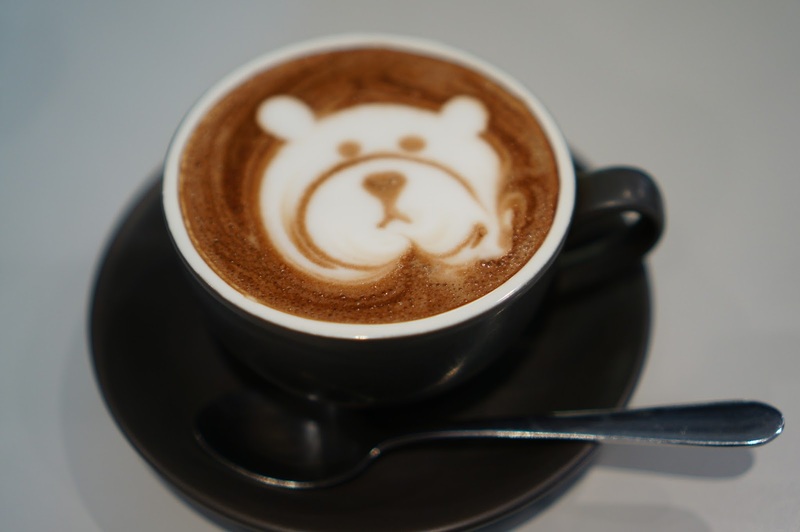 This Hot Chocolate ($4.0) was visually stunning – because LOOK AT HIS LIDDOL FACE! 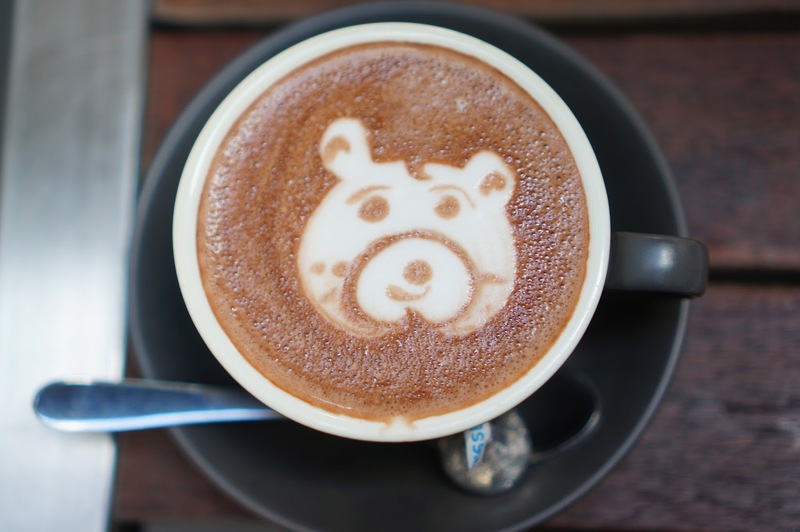 I have never seen a barista create bear coffee/hot chocolate art before and it totally worked for me. The hot chocolate was delicious, warm, chocolatey, and not too bitter or thin. 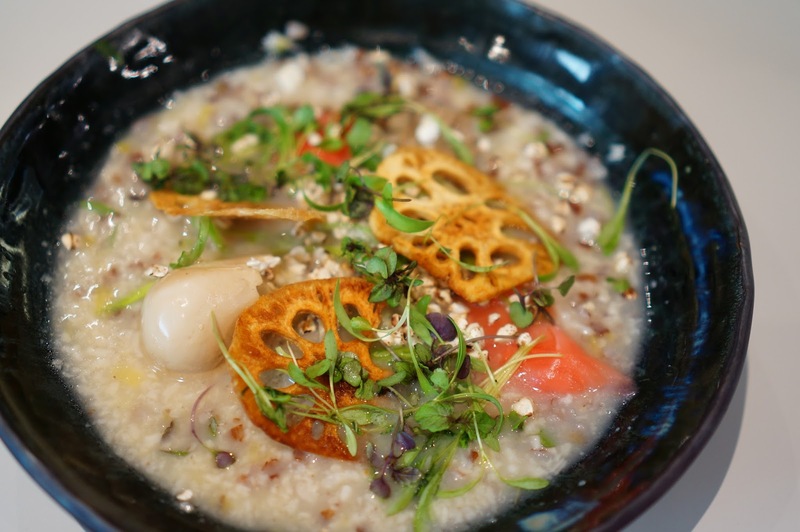 Three Rice Congee with pressed duck confit, pickled ginger, puffed buckwheat, lotus crisps and soy poched egg ($18.0) was the perfect dish for a cold day. It reminded me of a (way) fancier version of the congee asian moms make for you when you’re feeling under the weather with a cold. The nicely broiled rice with barley and puffed rice, with a beautiful slab of tender confit duck tasted like a warm hug, and envoked similar memories. The roasted lotus roots are tasty and add a nice crunch to the dish, like an asian potato chip. I can see where the pickled ginger fits in, but I moved it to the side as it was quite strong compared to the other parts of the dish. 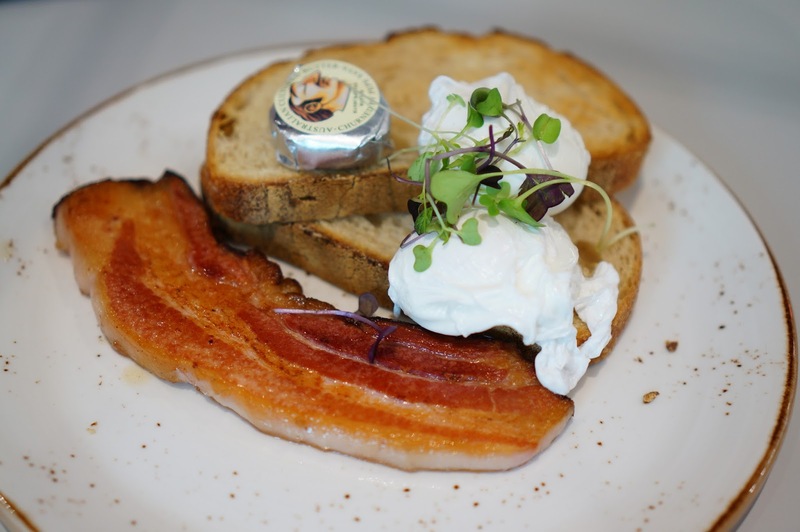 (Poached) Eggs Your Way on (Sourdough) Toast with a side of Thick cut streaky bacon ($10.0 + $7.0) was a very generic dish done well. The bacon kind of blew my mind; the perfect amount of fat and salty goodness. The sourdough wasn’t repulsively sour, and the poached eggs broke open perfectly. 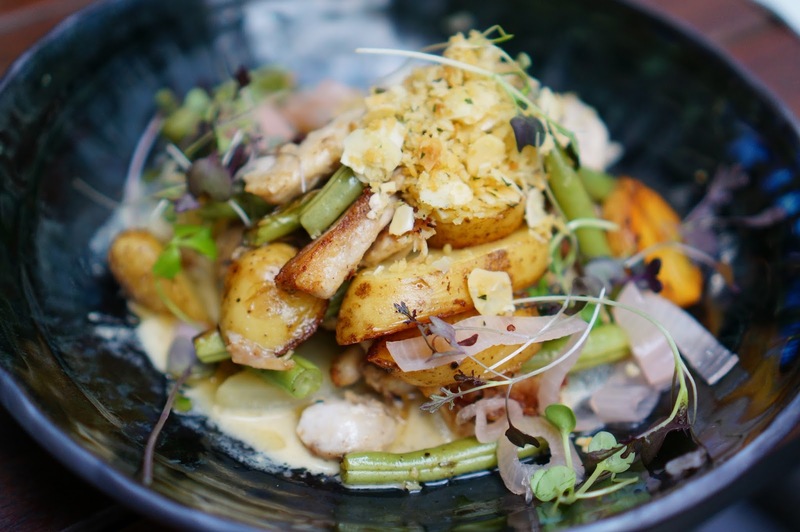 The Chicken a la Normande with braised apples, pickled shallots, kipfler potatoes, green beans and almond crunch ($ 17.0) called to me from the menu, and I couldn’t go past it. It was definitely more a lunch dish rather than a breakfast/brunch dish in that it was quite filling. The chicken was tender and delicious, cooked in the creamy buttery sauce. The braised apples and beans, added a nice sweetness, combined with the earthy potato and almond crunch, finished off the dish. So much love for this dish, especially because they didn’t skimp on the chicken. 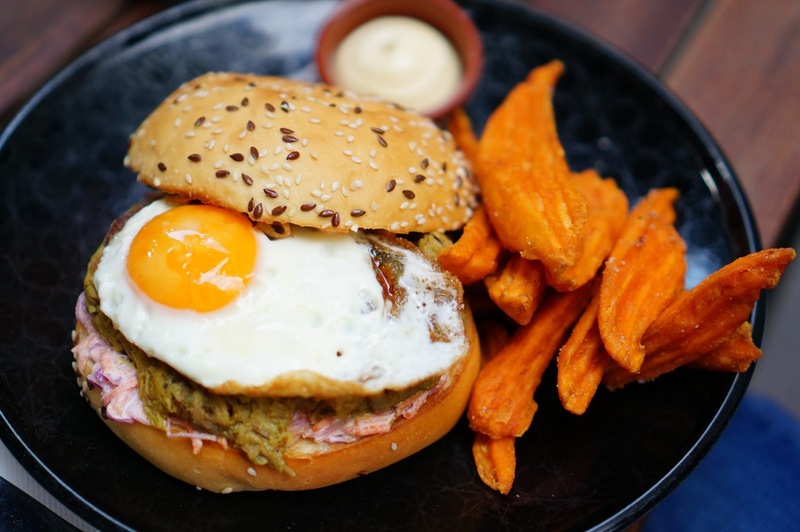 This Balinese Pulled Pork Burger with fried egg, chilli mayo, coriander, cabbage and carrot slaw served with sweet potato wedges ($20.0) was surprisingly spicy. A very asian tumeric cumin spice inspired pork dish. I enjoyed the twist on your normal pulled pork burger, and the bun was semi-sweet too, which I always prefer. The sweet potato chips were quite nice (though I would still go normal fries), especially with the aioli; I told myself it’s healthier than normal potato anyway. I would definitely recommend this dish. 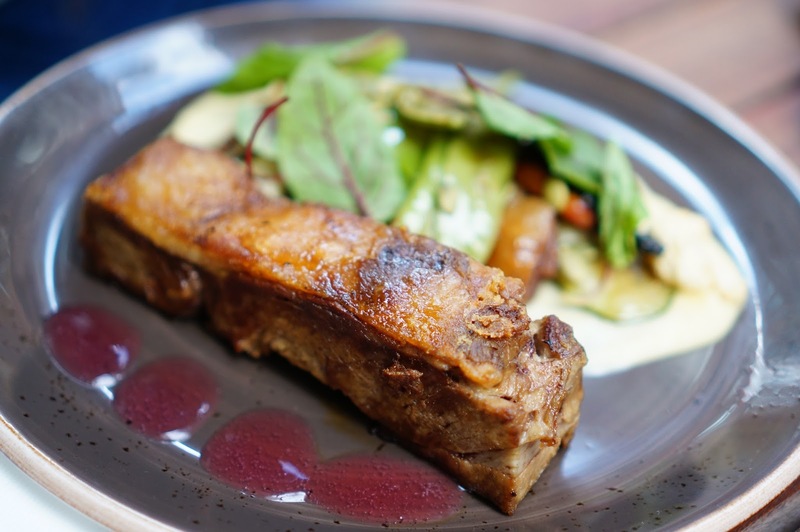 As all good lamb dishes should be, the Slow Cooked Lamb with a vegetable medley, parsnip puree, pepitas and cranberry gel ($20.0) was tender and succulent. The parsnip puree was almost sweet in taste, especially if asted with the cranberry gel. This was definitely a more traditional tasting dish, with not as much depth or creativity in flavour combinations as the Chicken. And a Happy 2nd Birthday to Operator 25! 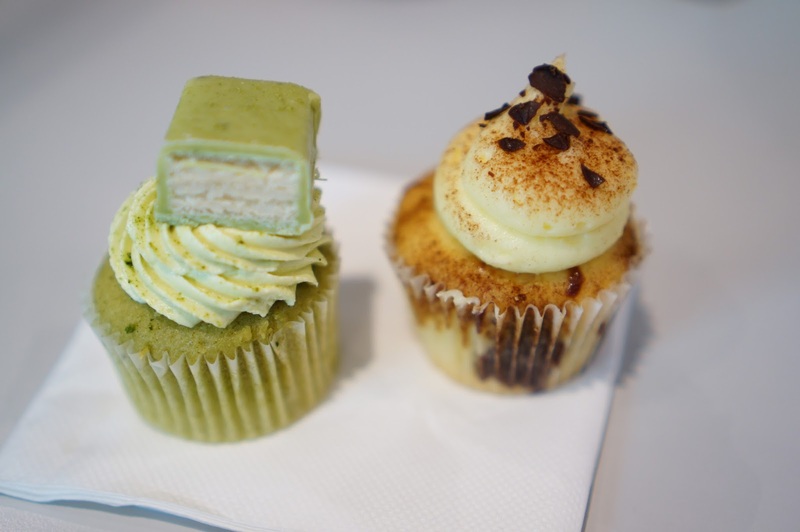 They included all their customers in the celebration by serving up complimentary mini cupcakes from Cupcake Central! 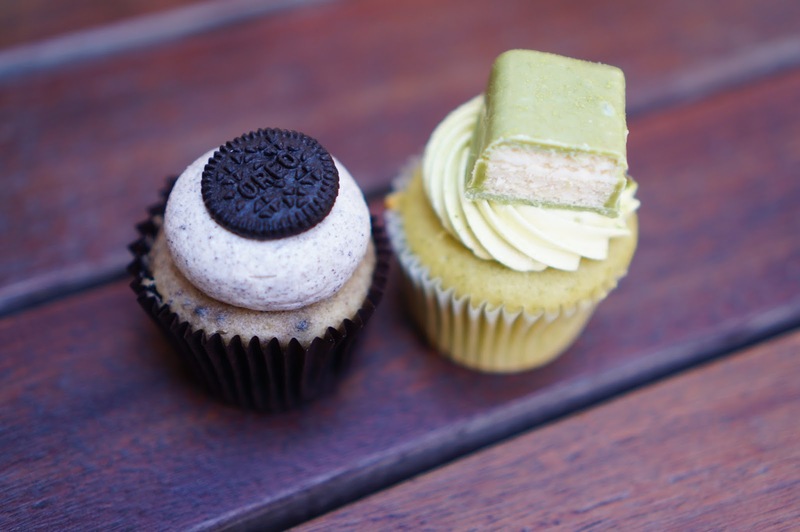 Oreo was a choc chip base with oreo icing, White Chocolate Matcha (yaaas gaga yaaaas) a soft green tea base, icing and kit-kat type chocolate wafer to finish, and Tiramisu. Delightful. Free food = winning. TL;DR A beautiful asian-inspired brunch spot with none of the normal brunch fare dishes. Love it; but be prepared to withstand the queues.